The 2GIG-CAM-250P allows business and homeowners to keep an eye on their property with this H.264 & MJPEG video encoding security camera. The 2GIG-CAM-250P high-definition security camera has a built-in SD micro slot for video storage. Additionally, this mini-dome security camera features a vandal resistant design. 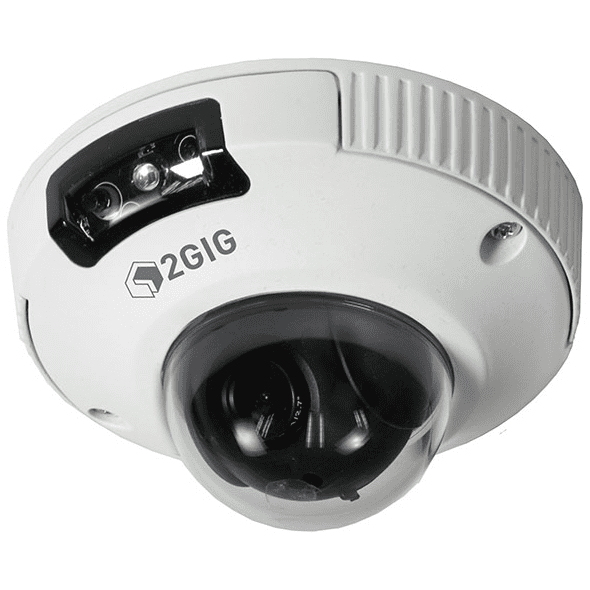 Designed to be mounted indoors or outdoors, the 2GIG-CAM-250P supports night-vision up to 30 feet. This camera is quick and easy to install, and is available in black or white housing.